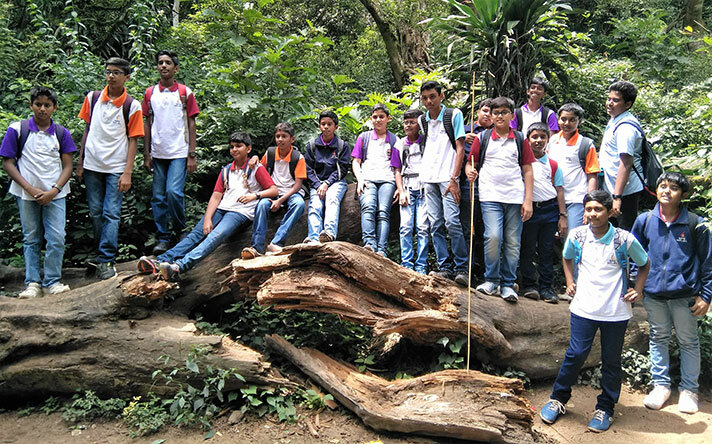 It was a cloudy refreshing Friday morning when Grade 6, 7 ,8, 9 and 11 students of NAFL-NPS went on a trek on 3rd August 2018 to Nandi Hills, also known as Nandidurg, is an ancient hill fortress, which served numerous dynasties in the yesteryears. Located in the Chikballapur district of Karnataka state, the destination stands at 4,851 feet (1,479 metre) above sea level. From the school campus, it took a ride of 30 minutes (15 km) to reach Nandi Hills. One big turn and we were there at the gate of Nandi Hills. The students chose to take the forest path rather than the drivable road. Some patches on the way were well flowered. Finally everyone caught hold of a lovely serene place, Tippu’s Summer Residence. 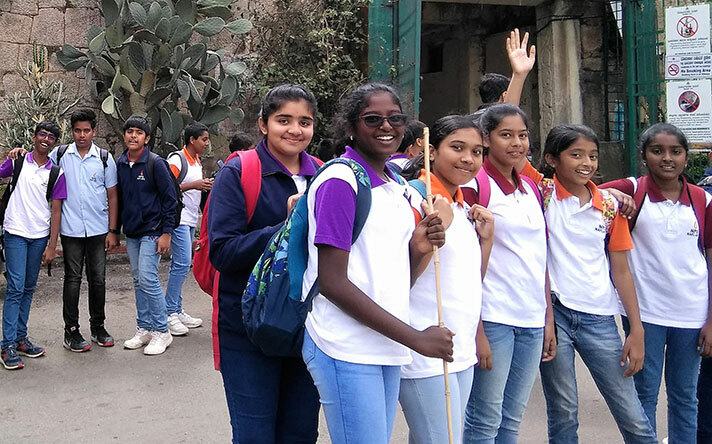 The students also indulged in cleaning up the place as it was strewn with plastic and other garbage well in line with the slogan for Environment Day ‘Beat Plastic’. 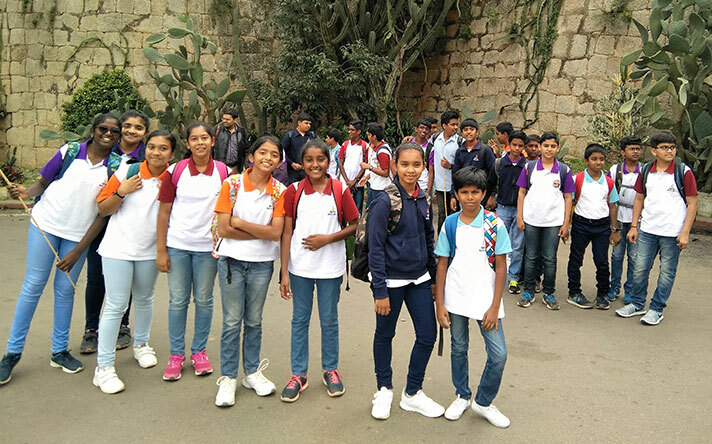 The students also visited the Nandi Temple, Tippu’s Drop and the Amaravati Sarovar. Each of these places had a breath taking view and at the same time an abundance of historical value. This trip was a perfect example of combining textbook learning to real life experience. 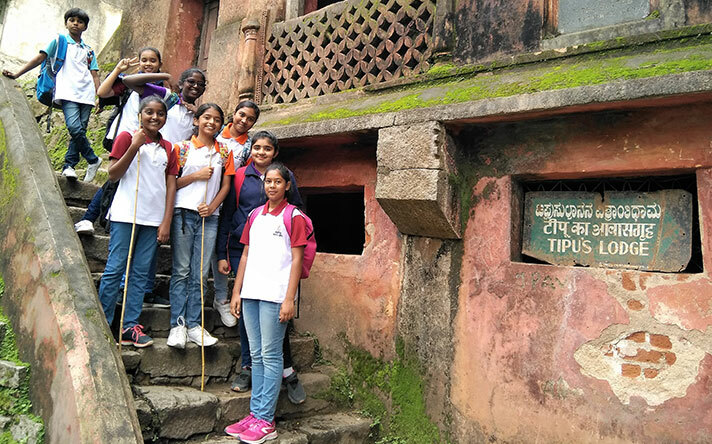 The students not only learnt history but also imbibed values to save our environment, leaving their footprint on the “Hills of Happiness”.